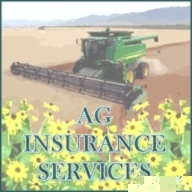 Ag Insurance Services has the knowledge and experience in crop insurance to handle your crop insurance needs. We will tailor your crop insurance to meet the needs of your lender and your individual marketing plan. Please call our office if you have any further questions. ©2006 Ag Insurance Services. All Rights Reserved.